A beach cart is like a trolley with wheels and baskets made of various materials to store items usually brought to the beach. It is a convenient way to ensure that you bring all the essentials as you head on to your favorite beach spot and enjoy the day either alone or with family and friends. It is practical since it can carry all your beach goodies in style, without putting too much strain on your back or shoulders. 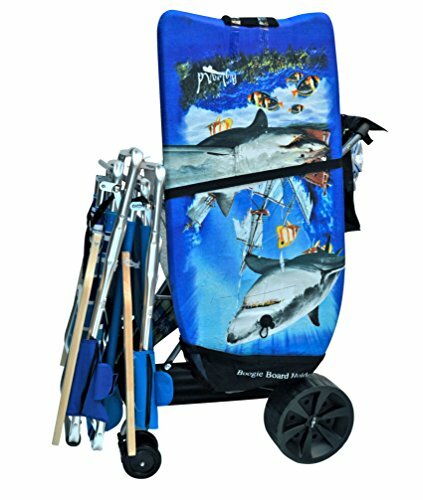 If you love going to the beach, make sure that you have a beach cart that you can use every time. Of course, you want a beach cart that can hold many items, as that is what the cart is for. 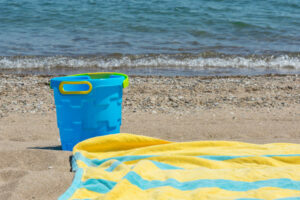 It should also be able to fit irregularly shaped items such as folding chairs, umbrellas, and coolers. Since you will be hauling a variety of items in the cart, make sure that the frame is made from a durable material such as aluminum. It should also be able to stand the heat of the sun and the usual wear and tear. Using the cart should not require too much effort. It should be user-friendly and make it easy for you to navigate your way through concrete, rocks, and sand. Multiple Pockets. You can store smaller items inside the pockets so that you can easily locate them when you need them. It is essential that the beach cart can be easily folded up and can fit in the trunk of your vehicle. It should be compact and should not take too much space in the storage so that you can still fit other important items. Easy to Clean. Since it will be exposed to sand and water, you would want a material that is easy to clean. You might want to consider a breathable and fast drying fabric so that you can clean it with a wet cloth or with a quick rinse from a hose. 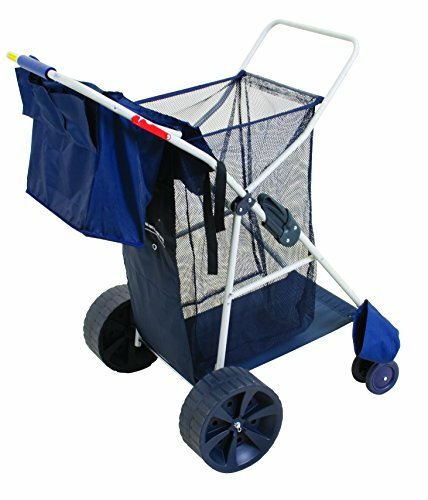 This product has the essential things that you may be looking forin a beach cart: has large wheels, durable, and easy to clean fabric. It is also extremely spacious and has a very sturdy construction which is a great thing as you can use it for quite a while. When open, its size is 36.2” x 21.4” x 24.6”, giving a very roomy interior. When folded for storage, it is only 9.7” thick, with the folded size approximately 31.5” x 21.4” x 9.7”. It also includes a carry case for easier handling and storage. It is made of extra durable fabric which will not rip without difficulty, and can also be easily cleaned. It can carry up to 150 lbs. It has an adjustable handle for easier transport. It has two mesh cup holders to secure your beverage while hauling your things. It has extra large wheels which are great for the beach and even in other outdoor events or picnics. It sets up easily, with no assembly required. It collapses without difficulty for compact storage. It requires less effort when hauling on the sand as it rolls effortlessly. The wheels have a firm hold on sandy surfaces, so it is also less likely to tip over. It can be loaded and unloaded easily because of its height. Aside from the beach, it can also be used in other outdoor activities and even when hauling things around the house. It is a little heavy, even when folded up for storage. It gets a little sluggish and heavy in the sand. The sides may be too low for bigger items that you might want to bring to the beach, having the tendency to fall off the cart. The Mac Sports Heay Duty Utility Wagon is a great choice, especially if you look at its overall capacity and its sturdy built. It can also hold a lot of items, with a maximum of 150 lbs so you can definitely take a lot of your beach essentials. Its foldable design is also a great thing as it will not take too much space in your trunk or your storage when not in use. This beach cart is indeed a wonder wheeler as it can hold as much as four beach chairs and other beach gear and essentials, making your trip to the beach as fun and as comfortable as possible. The product measures 32” x 20” x 5.5”. It has a sturdy steel frame which ensures that it is durable enough to hold up much weight. It has large all terrain back wheels, measuring 10” diameter and 4” wide and has articulating, front swivel wheels. It has 15-cubic feet of wide storage. It can hold up to 100 lbs of items. It is made with heavy duty mesh fabric which can endure the usual wear and tear. 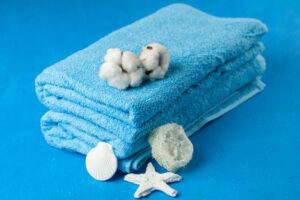 The fabric also dries easily, so it is easy to clean. It has an extended handle, which is the style of a stroller, and with a neoprene grip. It comes with a removable tote with shoulder strap and side umbrella holder. It has a bottom tray and rack. It is foldable for easy transport and storage. It is easy to assemble and can be set up in just a few minutes without any tools required. It rolls easily on any type of terrain. The wheels were wide enough, even on soft sand. It has a rear pouch where you can keep smaller items. It can hold a lot of items. It is well balanced and sturdy. It would have been much better if the Velcros were much bigger as they always tend to come undone. The stitching, especially on the removable tote, needs improvement for more durability. 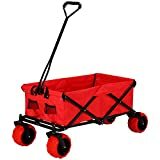 The Rio Beach Wonder Wheeler Wide Beach Cart is also a nice product to consider, especially if you have big items as this cart has a deeper storage area. The back wheels and the articulating front wheels work well together so that you can have the right balance when hauling your things. It is also great that it has an extended handle, making it easier and more comfortable to push or tow in any surface. 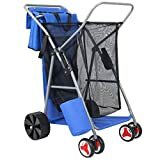 Storage is also not a problem as this beach cart can be folded easily after use and can be kept in the trunk or stored at home without taking up too much space. Aside from the fact that Mac Sports remains to be one of the world’s largest manufacturers and distributors of portable folding wagons, this beach cart is preferred by many because of its quality and great features. The major selling point is its durability because of the superior materials that it is made of. It has a roomy interior as it opens to approximately 35” x 20” x 23”. It has an adjustable handle which makes it easier to transport beach gear and equipment. It has a heavy duty frame that can carry up to a maximum of 150 lbs. It is made with 600D fabric which basically means that the material can last a long time. It is low maintenance and very easy to clean as well. When folded, the wagon measures only 29.5” x 20” x 8”, making it very compact and easy to store. It features two mesh cup holders where you can place your beverages and keep them secured. 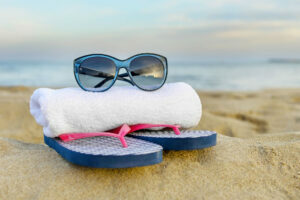 It has a versatile design and function, which means you can also use it someplace else, aside from the beach. 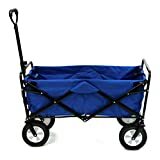 It comes with a carry case so that the wagon can be carried easily once folded. It is very spacious and has a lot of room for different items. It has functional features which make it easier to use. It can last a long time as it is heavy duty and durable. It is easy to clean, carry and transport. Assembly is very easy and does not require too much effort. Folds quickly as well and can be stored easily. The handle is good, but it would have been better if it can be extended to more than 16 inches past the body of the wagon. There are no brakes to lock the wheels in place. The frames are riveted, not welded. The Mac Sports Collapsible Folding Outdoor Utility Wagon is another great choice as it will not let you down in terms of durability as it is constructed with heavy duty Denier fabric. So, if you get one, you will probably be using it for years. It also has a superior frame and heavy load capacity so you can definitely maximize its use. Tommy Bahama manufactures a lot of great items that you can use at the beach and this beach cart is just one of them. 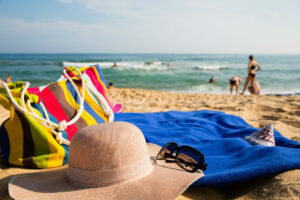 It can make your day at the beach more fun and convenient since you can take the necessary items that you might need during your stay such as beach chairs, umbrellas, and more. It has a dimension of 27” x 40” x 31” when opened, including wheels. When folded, the size of the cart is 27” x 23” x 10”, also including wheels. The storage compartment is 15 cubic feet in size, which means it can hold up a lot of items, big and small. It is made with durable mesh fabric which dries up easily so cleaning it will not be a problem. It has 10” rear wheels and dual steer front wheels. It can carry up to four chairs and has a 100 lbs loading capacity. It has powdered coated steel frame, so it is not susceptible to rust. The tough steel frame also makes it easier to carry accessories. It has cushioned handles so your hands will not get hurt when you push or tow. It has an umbrella holder and removable insulated cargo bag with zippered side pouches. It is very easy to assemble and fold down after use. It is easy to pull behind while using it on the sand. The built-in cooler is very convenient as you can use it to safely store your snacks during your day at the beach. It can hold several items, including at least four chairs on the front rack. The mesh bag can also accommodate a lot of beach essentials for the whole family. The mesh bag has the tendency to tear down easily when in use due to shifting items inside the cart. The front wheels are not very durable. 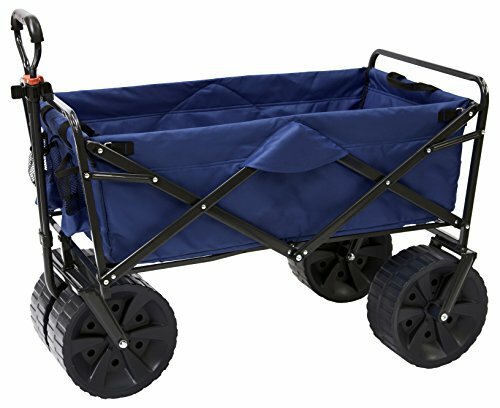 The Tommy Bahama All Terrain Beach Cart is another great beach cart to consider as it goes well on all terrains including sidewalks, rocks, and sand. You can effortlessly carry your stuff in its spacious compartment, including big items and even snacks and beverages that you can put inside the built-in cooler. If you want the ultimate beach cart which will definitely roll on the beach sand, then this might be the one that you are looking for. The Super Ultimate Ultra Wide Wheel Beach Cart is one of the most popular models in the market because of its nice features. 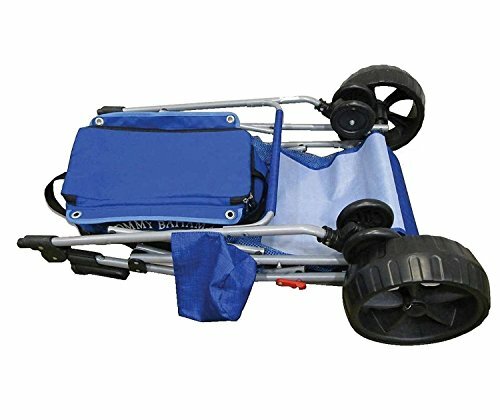 It has super wide wheels which are designed to roll on top of the sand, making it so much easier for you to haul your beach essentials. The wheels, which are 10” in diameter and 4” wide, were built to not sink or plow on sand. It has pivoting front wheels which are 4.5” in diameter for easy navigation. It is 39.5” in height and 16” wide, which is big enough to hold several big items. It folds flat for easy storage, so it will not take much space. When folded, its dimensions are 37” x 16” x 8”. It weighs only 12.8 lbs and has a weight capacity of 77 lbs. It comes with a fully assembled frame. You just have to add easy snap on wheels. It comes with a built-in umbrella holder and a large cooler. It is very portable as it folds small and flat so you do not need too much space in the car. It does not weigh much at all. It assembles easily and folds out like a stroller. It can hold a lot of stuff, yet still remain sturdy. There are also several pouches for smaller items so you can safely store them without getting lost. It glides on the sound without much difficulty, thanks to its wide wheels. Its weight capacity is significantly lesser with only a maximum of 77 lbs. The umbrella holder tends to drag on the front wheel which is a small design flaw. The Super Ultimate Ultra Wide Wheel Wonder Wheeler Beach Cart may not carry as much as the other carts, but it can carry enough to save you several trips from your car to the beach and vice versa. Aside from the wide wheels, this cart also has a lot of nice extras such as a tote bag, an umbrella holder and a bar which can be used to hang chairs. All the beach carts that we have reviewed have their own strengths as well as areas that can still be improved. 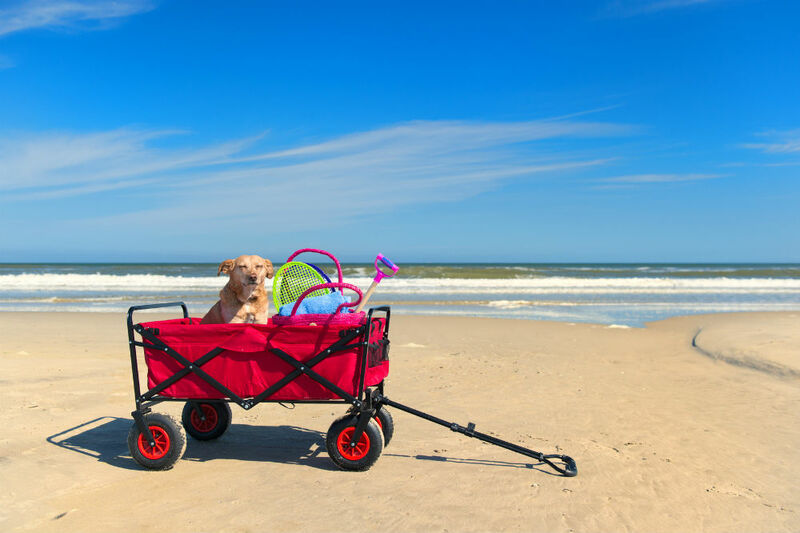 It all depends on your personal preference, budget, as well as your needs, so you need to carefully consider those factors when choosing the perfect beach cart for you. For instance, if you need a cart that can be towed easily and effortlessly on the beach, then it is best to go with the Super Ultimate Ultra Wide Wheel Wonder Wheeler Beach Cart as it has the widest wheels among them, making your hauling job much easier. However, if you need a cart that can carry up to a maximum of 150 lbs, then you better go with the beach carts from Mac Sports as they can hold up as much. 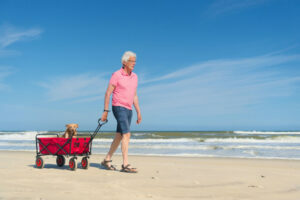 As mentioned earlier, it is important to consider the durability, portability, as well as the capacity of the beach cart because you need something that can do the job well and can last for quite a while. 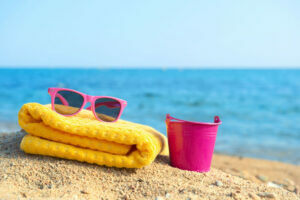 It also should be easy to maneuver as the primary reason you are getting a beach cart in the first place is to make your beach outing more fun, convenient and stress-free.